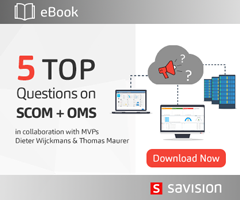 There is a lot of debate surrounding SCOM and OMS. The common belief is that OMS is competing against SCOM, and many people seem to think that OMS is still SCOM in the cloud, or that they are both doing the same thing. But is OMS the same as the Microsoft System Center Suite? Is OMS really a replacement for Microsoft System Center?